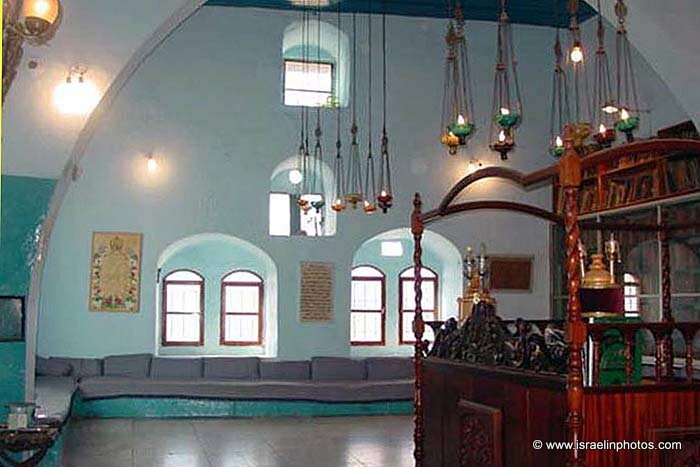 The Caro synagogue is named after Rabbi Joseph Caro, scholar and Kabbalist, author of the "Shulchan Aruch" (the codification of Jewish laws). Rabbi Joseph Caro, born in Spain in 1488, was expelled from Spain along with the rest of Spanish Jewry and after living in various parts of the Ottoman Empire, he settled in Safed in 1536. 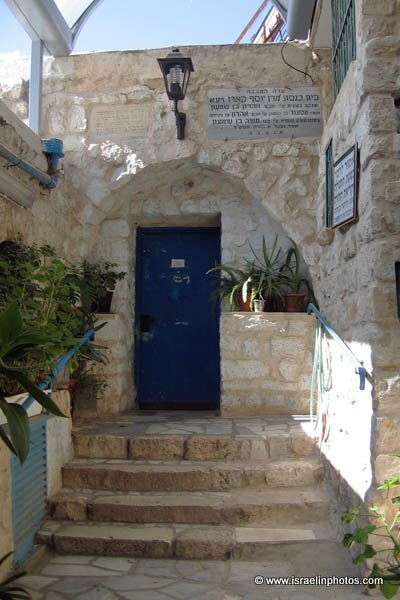 He served as the town’s Chief Rabbi and Head of the Rabbinic Court until his death in 1575 at the age of eighty-seven, and he is buried in the cemetery of Safed. It was built in the 16th century as a large and magnificent synagogue and house of learning, using marble and carved stone. The building was destroyed in the 1759 earthquake but was later rebuilt in a more modest style. 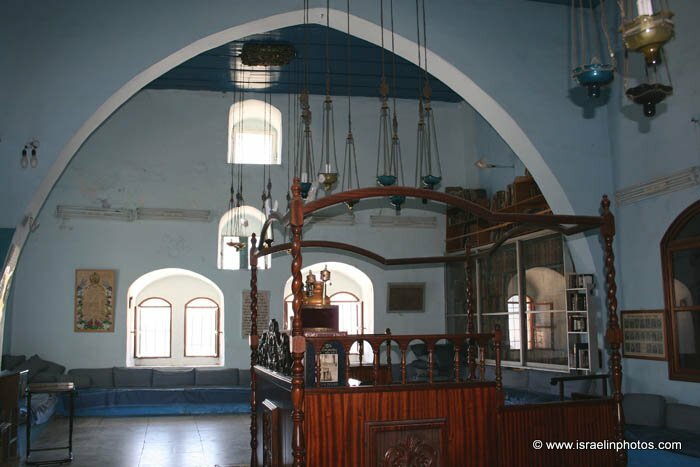 The Hassidim who came to Safed in 1777 began praying here, and also took part in its reconstruction after it was destroyed again in the Great Earthquake of 1837. 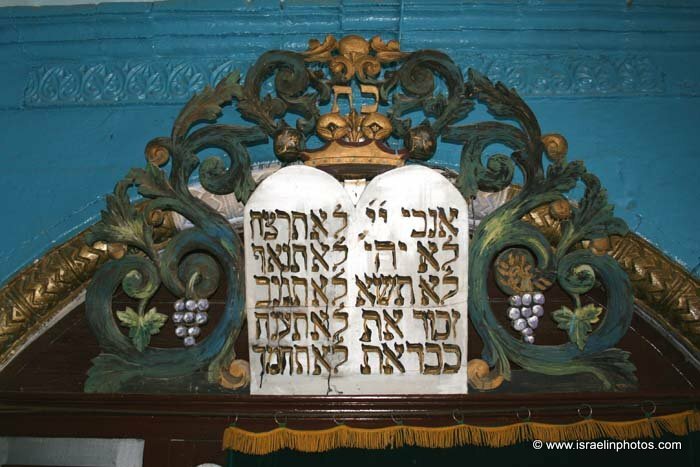 The Italian philanthropist Yitzhak Guetta provided funds for the synagogue’s restoration in the 1840’s and a plaque commemorating this deed is found at the entrance to the synagogue. 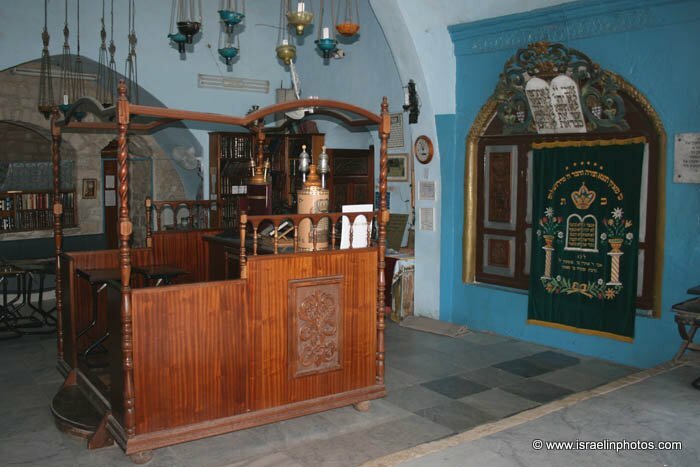 Yitzchak Guetta rebuild the city and restored four of its synagogues after the destruction caused by this earthquake in 1837. Like the Abuhav and Ari Ashkenazi synagogues, the Yosef Caro Synagogue has an imported Italian marble floor. Legend tells that Guetta used half of his budget in the reconstruction. The other half he buried, intending to complete the restoration when the messiah comes. Until the beginning of the 20th century it served as a house of learning. 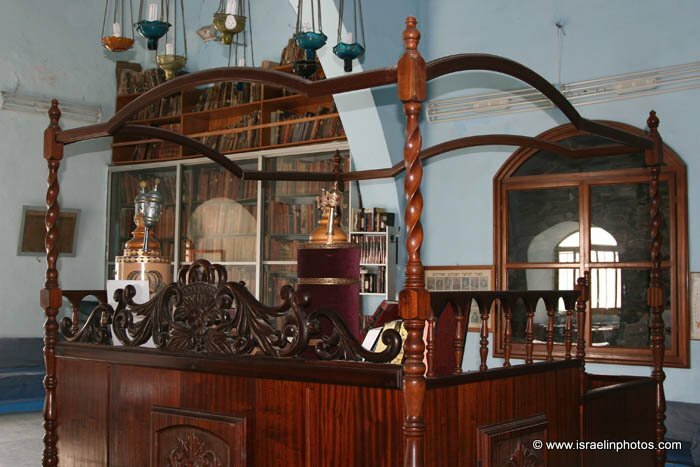 In 1903 it was once again refurbished and transformed into a synagogue by the Ben-Shimon family, who administer it to this day. Beneath the synagogue is a residence where, according to tradition, Rabbi Joseph Caro lived and where the "Maggid" appeared to him and revealed the secrets of the Torah. His visions were put to writing in his book "Maggid Meisharim". Joseph Caro teaches us that there is room for the imaginative and irrational aspect of life. Joseph Caro managed to be a jurist and mystic,a dreamer and a doer.